June 28, 2018, 8:00pm. Ticket with book, $52. Buy tickets here. At The Wilshire Ebell Theater, 4401 West 8th Street Los Angeles, CA 90005. Parking available in adjacent lots or there is street parking (please read signs). EACH TICKET INCLUDES A COPY OF DAN PFEIFFER’S BOOK, YES WE (STILL CAN). ALL BOOKS MUST BE PICKED UP ON THE NIGHT OF THE EVENT. WE DO NOT MAIL OR HOLD BOOKS. Yes We Can. Possibly the best campaign cry we’ve ever heard. 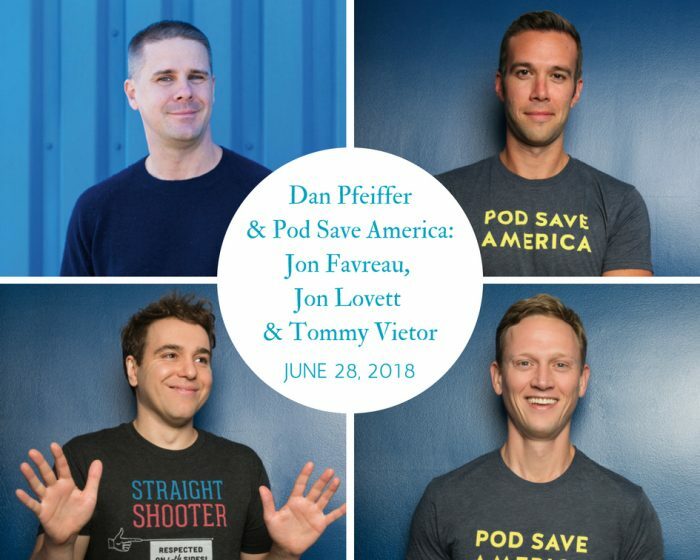 Dan Pfeiffer, joined by his co-hosts of the wildly popular Pod Save America, Jon Favreau, Jon Lovett and Tommy Vietor, discuss how Progressives can reclaim power, in an age where policy is dictated on Twitter, and scandal and corruption investigations consume the news cycles 24/7. What can we do? Dan Pfeiffer talks about the Obama White House through intimate knowledge and experience. He joined the Obama campaign in 2007, served as White House Director of Communications from 2009-2015, and Senior Advisor to the President from 2015 to 2016. In his new book, Yes We (Still) Can: Politics in the Age of Obama, Twitter and Trump, Pfeiffer reminds us of the increasingly hostile Republican party while Obama served as President, coupled with the Internets ability to spread propaganda, fake news and conspiracy theories. Obama’s Presidency offers many lessons, and Pfeiffer distills those to use as a guide for Progressives to recapture Washington. No surprise: its a terrific book thats engaging, funny and motivating. Yes We (Still) Can is the perfect answer to, Now What? Do not ignore the footnotes. They’re really funny. 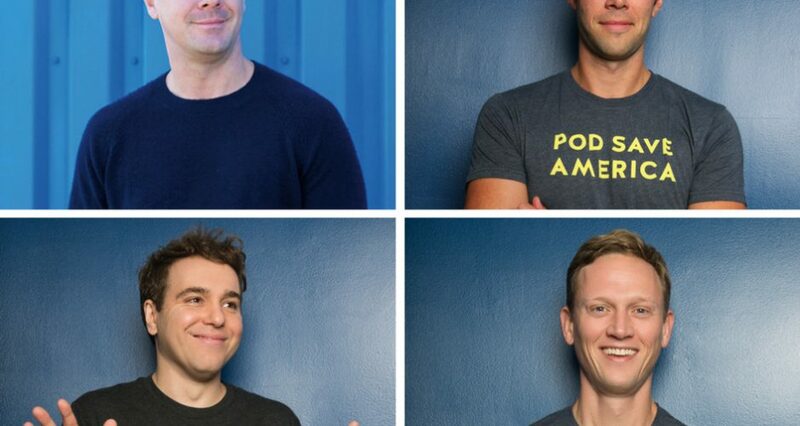 Before launching Pod Save America, Jon Favreau, Jon Lovett and Tommy Vietor all worked for President Obama. Jon Favreau was the head speechwriter. Jon Lovett worked as a speechwriter too, including writing jokes for the annual White House Correspondents Dinner, which Presidents used to attend. Tommy Vietor served the President as his National Security Spokesman. What would Jon Lovett say if we were to call these Pod guys the Fab Four of political discourse?